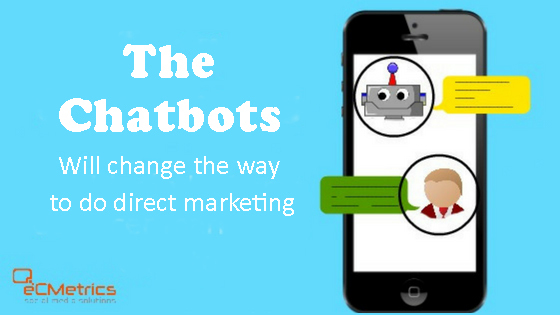 Chatbots are also known as chat or conversational bots. They are artificial intelligence systems of a software able to maintain a conversation with a human being. This system has become sophisticated to the point of making things increasingly interesting. Its use has already been seen in health, travel, finance and other industries. It is estimated that by 2019 the production of these bots will become so common that even each person could have a customized bot to their needs. 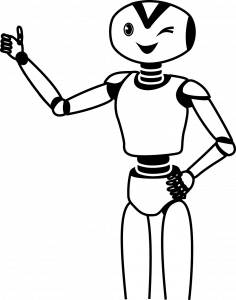 One of the great advantages of chatbots is that, unlike applications, they doesn´t have to be downloaded, it´s not necessary to update them and they don´t take up space in the phone´s memory. We can have several bots integrated in the same chat, so we avoid jumping from one app to another depending on what we need every moment. Thanks to the progress of technology, nowadays a large amount of consumer information is available. We better understand big data, there´s also machine learning and consumer monitoring. With all of this data and the right technology, companies will take advantage to create an intelligent advertising. They´ll customize the advertising options and present them as a conversation, not as a sale. Help will be a la carte and it´ll feel as if we´re receiving assistance and not as if they were trying to sell us something. Bots will recognize patterns, learn from us, and their suggestions will be there exactly at the right moment. The will know what and when announce. And unlike customized suggestions already provided online, courtesy of consumer monitoring, this ad will have a human touch and simulate a natural conversation. This new advertising wave will allow us to increase personal sales and increase commitment in a way never seen before. This technology is in full swing and more and more companies bet on chatbots as new communication channels with their users. But there are still details to attend. For example, since the bots analyze our testing, they must know how to use that information in a responsible manner to create trust. Providing enough useful information, but not give the feeling of knowing something that hasn´t been told. Otherwise, it will be perceived as a privacy invasion. The relationship will be lost and the ad will eventually be ignored. Over time the bots will become more transparent and eloquent. We could even see them more integrated through different technologies and functions. The experience will be better and more valuable because the bots will coordinate with the information given by other bots. These interactions will become even more important as we enter an increasingly connected future. Chatbots and artificial intelligence are just around the corner. But will we get used to talking to our screens? Surely….deep down we´re already doing it.